Many people usually see the red patches on their inner thigh. These patches are sometimes itchy as well. Your skin gets inflamed. If this is the condition then these patches are inner thigh rash. It can occur normally to anyone due to allergy from the tight clothes or from heat or due to excess of sweating. It can also occur due to some sort of infection. This is not something that you need to consult a doctor. 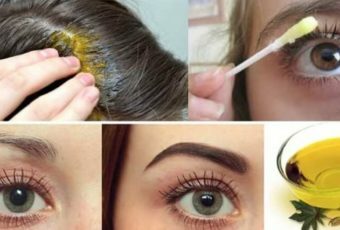 It heals in few days by using some easy home remedies. These rashes can be of different types depending upon the reason due to which these rashes have occurred. But the remedies for them are very simple as described in the upcoming article. But before that, you should know which type of rashes are there on your skin. 14. When Is There A Need To Consult A Doctor? You must know that ice decreases the inflammation and it is also helpful in making your nerves numb. So, if you are feeling itching on your skin then ice is really very helpful. And the same happens in the case of inner thigh rashes. These rashes include inflammation and sometimes give you the sensation of itching. So, ice can be used for the treatment of inner thigh rashes. Ice pack is a very good way to apply the coolness of ice on your skin. Ice pack gives you relief and also cures the rashes. Ice packs are easily available in the market. You just need to put the ice in the ice pack and keep it on the rashes for 15 to 20 minutes. If you are not having the ice pack then you can also make the ice pack of your own. How To Make Ice Pack? You just need a towel and ice. Take a towel and place ice on it. Cover the ice completely with towel. Put this towel containing ice on the rashes. Keep it on the rashes for 15 to 20 minutes. Repeat this again and again 3 to 4 times a day. This ice pack will give the incredible feeling that you own will be forced to use the ice pack again and again. And soon your inner thigh rashes will disappear. Baking soda is also helpful for the treatment of inner thigh rashes. The reason behind this is that it will dry your rashes as soon as you apply it on your rashes. Add baking soda in water. Water should be in that much quantity that it is neither a solution nor a paste. Apply this mixture on the rashes. Keep it applied for 20 to 30 minutes. Now wash it with clean water. You must be surprised that how oatmeal can be effective for the treatment of inner thigh rashes. But it is true. Oatmeal is basically used to cure the rashes of kids and babies but it works the same for adults as well. It is very easy to use it. How To Use Oatmeal For The Treatment Of Inner Thigh Rashes? Take a cup of oatmeal. Remember that oatmeal must be raw that is it must be uncooked. Put this in the bucket full of water from which you are going to bath. Bath with the water containing oatmeal. Apple cider vinegar is a type of vinegar which is prepared from cider and apple. It is used for various purposes like in food preservatives, salad dressings, chutneys and other various things. It is a very versatile product used in various purposes like in weight loss, maintaining insulin levels and for removing itchiness as well as is used here. Apple cider vinegar, which is present in the list of home remedies of each and every disease. Yes, it is totally true. You must have noticed it too. Apple cider vinegar is really a very effective natural product. It not only decreases the itchiness of your rashes but also cures them very soon. And to use it is also very simple. You just need to do the following. How To Use Apple Cider Vinegar For The Treatment Of Inner Thigh Rash? You just need a cotton ball. Apply the apple cider vinegar on the rashes with this cotton ball. Keep it applied for 5 to 6 minutes. Repeat this again and again for 3 to 4 times a day till the rashes are properly cured. Chamomile is a type of herb that is obtained from the flowers of a plant of a daisy family. Tea from chamomile is obtained from the dried and fresh flowers of chamomile. It is useful in various health problems. Chamomile tea is very useful for the treatment of the inner thigh rashes of female. It decreases the inflammation of skin and removes the itchiness of skin as well. How To Use Chamomile Tea For Curing Inner Thigh Rashes? Put two tea bags of chamomile in it. Now use this water in the last to wash the rashes when you have finished bathing. Repeat this again and again till your rashes are properly cured. Many people use olive oil as a lotion as well. Olive oil is very good for skin. But it also helpful in curing the rashes present on your skin. And it also prevents your skin to be attacked by any skin irritant. Olive oil does these because it has anti-oxidants in it. How To Use Olive Oil For The Treatment Of Inner Thigh Rashes? Take proper quantity of olive oil. Apply it on the rashes. Apply again and again till the inner thigh rashes are properly cured. Whenever you eat something containing mint in it then it provides you calmness and makes you feel cold. The same it does to your skin, when you apply it on your skin. When you apply mint on your rashes then it relieves you a lot. How To Use Mint For The Treatment Of Inner Thigh Rashes? Take everything that contains mint like peppermint, mint and spearmint. Mix all these ingredients in water. Leave this applied for the complete night. Then wash it off in the morning. Neem is a very famous medicinal plant that you can meet with any garden. It is used in various health purposes. How To Use Neem For Curing Inner Thigh Rashes? Take some water and boil the water. Add neem leaves in it. Boil these leaves in water. Now keep this water on the rashes. Keep the water applied for 30 to 40 minutes. Repeat this at least two times a day till you skin rashes are properly cured. Eat products that contain vitamin C in high amount like citrus fruits can be very helpful in this case. You should consume Vitamin C daily in proper amount so that you do not get these inner thigh rashes in future as well. You must have heard about coriander leaves but you must not know how effective these leaves are for the treatment of inner thigh rashes. These leaves decrease the inflammation of the skin; these leaves also decrease the itchiness and make you feel better. You need to use it in the following way. How To Use Coriander Leaves For The Treatment Of Inner Thigh Rashes? Take the coriander leaves and make a paste out of it. Keep it applied for 15 to 20 minutes. Repeat this at least two times a day till you are properly recovered. Talcum powder is also very helpful for the treatment of inner thigh rashes. Moist talcum powder gives you relief from the itching sensation and reduces the rashes to its minimum level. How To Use Talcum Powder For Curing Inner Thigh Rashes? Mix talcum powder in it to form a paste. Apply this paste on the rashes. Keep this applied for about 15 minutes. Repeat it at least two times a day. Aloe Vera is also very useful for the treatment of inner thigh rashes. Aloe Vera provides calmness to the rashes and removes the itching sensation. Aloe vera is best home remedy for itching between thighs. How To Use Aloe Vera For Healing Inner Thigh Rashes? Take the leaf of aloe vera plant. Extract Aloe Vera gel out of it. Apply this Aloe Vera gel on the rashes. Coconut oil is also very helpful for the treatment for the inner thigh rashes. Yes, this is little surprising but this is completely true. Try the coconut once. It is really effective. How To Use Coconut Oil For Healing Inner Thigh Rashes? It is very simple to use coconut oil for the treatment of inner thigh rashes. You just need to take some drops of coconut oil. Apply it on the inflamed skin. Keep it applied for the night. Although rashes are not that much serious that you feel the need to consult a doctor but you need to consult your doctor if you are not recovering from the rashes after applying home remedies, or you are suffering from pain and breathing problems accompanied with the itchy rashes. Red patches will itching and inflammation on the inner part of thighs is something we call inner thigh rashes. Inner thigh rashes are of different types depending upon the reason of why they have occurred on your skin. Heat rash is the type of rash that usually occurs due to a lot of sweating from your body and when your sweat ducts get blocked. In this condition, there starts itching on your different body parts and when at these places clothes cause friction then this usually lead to the rashes and if these rashes occur on inner thigh then these are called inner thigh rashes. Heat rashes usually occur due to overheating, or over sweating, or humid weather, a lot of physical activity or using creams that do not suit your skin. To prevent yourself from this type of rashes you need to wear loose clothes and clothes which can absorb extra sweat like of cotton. Also live in a cold environment. Contact Dermatitis is a type of rash as indicated from the name is due to the contact from the skin irritants such as various chemicals, soaps and lotions that are allergic to your skin, or some irritating cloth fabrics. Various symptoms of inner thigh rashes are redness, sometimes swelling, itching sensation, burning sensation, and skin sores as well. Atomic Dermatitis is also popularly known as Eczema. This is a type of inner thigh rash that occurs due to hypersensitivity reaction in the skin. This type of rashes usually occurs to the children. In this type of rashes, skin colour gets red and it gets inflamed. This is a type of rashes that occurs due to swimming. When you swim then water comes in the contact of your thighs and the water contains parasites which cause infection in your inner thigh rashes. Symptoms for this type of rashes are rashes, diarrhoea, and abdominal pain. Sometimes, you apply some products on your body without knowing that it contains some of the ingredients that may irritate your skin and can cause rashes to you. These products are that’s why called skin irritants that irritates your skin and cause rashes to your body. There are some plants which can irritate your skin, poison ivy is one of them and it can also vary from person to person. Some persons have allergies from different types of plants. This allergy causes inner thigh rashes. Some people have some allergy with food items or you touch something that your skin is allergic to then also you can get rashes on your skin. Try not to wear undergarments while you are suffering from this. If you are a girl, you can wear long skirt without underwear so that the air can be passed through the rashes and you feel soothing effect. Try to wear cotton as cotton is most comfortable in these cases. Inner thigh rashes are not too serious but a very irritating problem. Due to these rashes, you are unable to sit properly and the itchy feeling and inflamed skin make you restless. So, you need to treat them as early as possible. These rashes can be treated easily by using the home remedies specified above. The ingredients needed for these rashes are very easily available at your homes. Try them ones and see the incredible results.